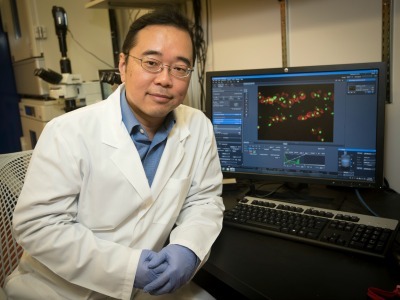 Zhe Han, Ph.D., has found that a majority of human genes known to be associated with nephrotic syndrome play conserved roles in renal function, from fruit flies to humans. Drosophila melanogaster, the common fruit fly, has played a key role in genetic research for decades. 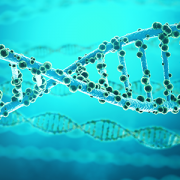 Even though D. melanogaster and humans look vastly different, researchers estimate that about 75 percent of human disease-causing genes have a functional homolog in the fly. 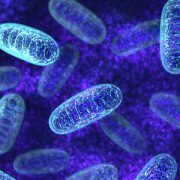 A Children’s National Health System research team reported in a recent issue of Human Molecular Genetics that the majority of genes associated with nephrotic syndrome (NS) in humans also play pivotal roles in Drosophila renal function, a conservation of function across species that validates transgenic flies as ideal pre-clinical models to improve understanding of human disease. 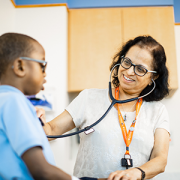 NS is a cluster of symptoms that signal kidney damage, including excess protein in urine, low protein levels in blood, elevated cholesterol and swelling. 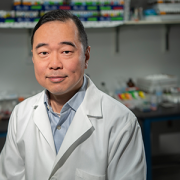 Research teams have identified mutations in more than 40 genes that cause genetic kidney disease, but knowledge gaps remain in understanding the precise roles that specific genes play in kidney cell biology and renal disease. 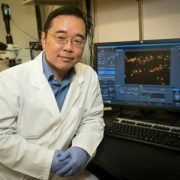 To address those research gaps, Zhe Han, Ph.D., a principal investigator and associate professor in the Center for Cancer & Immunology Research at Children’s National, and colleagues systematically studied NS-associated genes in the Drosophila model, including seven genes whose renal function had never been analyzed in a pre-clinical model. And, to confirm that the phenotypes they were studying truly caused human disease, they reversed the damage by expressing a wild-type human CD2AP gene. A mutant allele derived from a patient with CD2AP-associated NS did not rescue the phenotypes. A logical next step will be to generate personalized in vivo models of genetic renal diseases bearing patient-specific mutations, Han says. 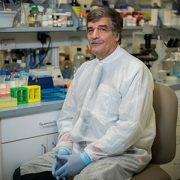 These in vivo models can be used for drug screens to identify treatments for kidney diseases that currently lack therapeutic options, such as most of the 40 genes studies in this paper as well as the APOL1 gene that is associated with the higher risk of kidney diseases among millions of African Americans.